House Bill 4783, which merges two youth Department of Natural Resources issued licenses, was recently signed into law by Governor Bruce Rauner. The new law, sponsored by Representative Avery Bourne (R-Raymond), combines the previously separate youth hunting and trapping licenses. This bill was an initiative of the DNR to cut red tape and streamline the licensing process for those under 18 years of age in the state. Representative Bourne stated, “This new law will enable young hunters to obtain and carry only one license. They are able to hunt or trap under it while supervised by an adult who is 21 years of age or older who will mentor them, and teach them the proper techniques and safety measures to trap or hunt.” Rep. Bourne added that if a youth has a valid certificate of competency for hunting or trapping approved by the Department of Natural Resources, he or she is exempt from these supervision requirements. 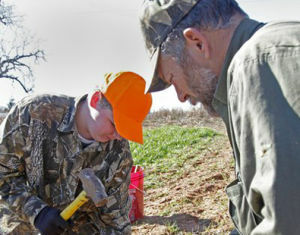 Under the new law the fee for a Youth Hunting and Trapping License is $7. To learn more about hunting and trapping or to apply for a license, visit www.dnr.illinois.gov.